Definition (NCI) The most common congenital deformation of the foot, occurring in 1 of 1,000 live births. 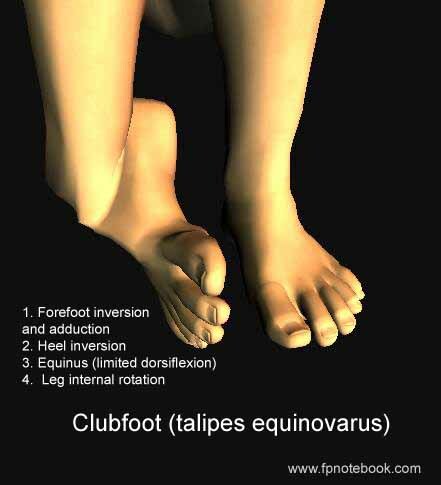 The most common form is talipes equinovarus, where the deformed foot is turned downward and inward sharply. Definition (MSH) A deformed foot in which the foot is plantarflexed, inverted and adducted.